Lisa Durden is doing media coverage of the critically acclaimed stage play, “American Moor,” coming to New York, Wednesday, April 22, 2015. She will get a behind the scenes exclusive interview with the writer and star, Keith Hamilton Cobb, who’s widely recognized for his roles as ‘Noah Keefer’ on ABC's All My Children, ‘Tyr Anasazi’ on Gene Rodenberry's Andromeda, and ‘Quincy Abrams’ for the series, Noah's Arc on the Logo Network. 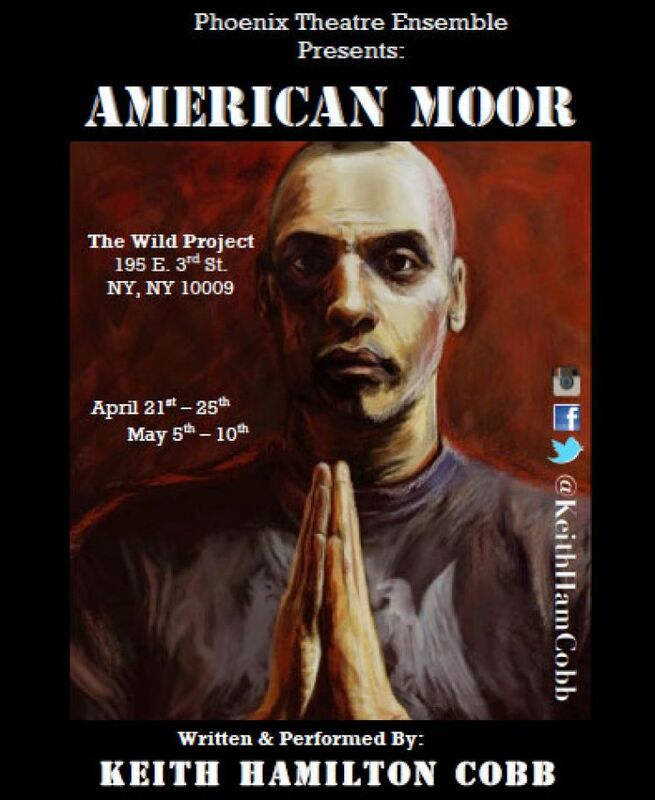 American Moor Promo from Keith Hamilton Cobb on Vimeo. Levitra is the perfect medicine for helping men to sustain an erection. How you can find thorough info and how quick does cialis work? It may have varied brands, but only one ATC Code. Nowadays, for a lot of guys, bringing up the matter in the first place is the toughest step. How long does it take for cialis to work? Diabetes, stress, some diseases, and several remedies can reduce your libido. Sometimes stress may affect physical health, including performance.